Hi there! 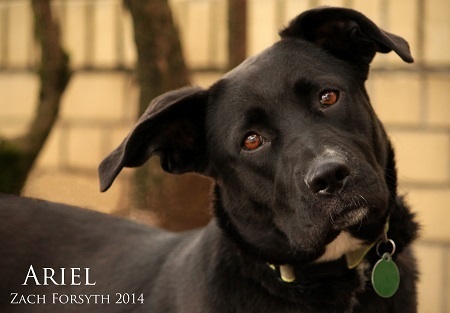 I’m Ariel, a 1 year old Lab mix. I’m a smart and sweet girl. A bit shy when you first meet me, but It’s spring time and I’m a flower waiting to bloom! I’ll I need is a new home and some love to help me to open up. I started taking puppy classes to learn some tricks and make new friends so if your interested I’d love to have you come to class with me. I’ll show you all my tricks which right now consist of sit and sitting. Ok now wheres my treat?? Haha. Did I mention I’m funny too? I’d sure love to meet ya! Contact The Pixie Project to set up a date. I’m vaccinated and spayed. 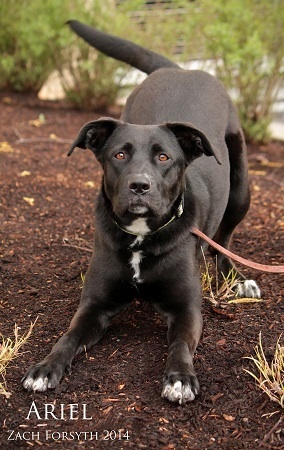 Adoption fee of $250. See you soon!